The Hunger Games cannot be stopped. Director Gary Ross’s adaptation of the popular Suzanne Collins book took the top spot at the box office for the fourth weekend in a row with $21.5 million, bringing its domestic total to $337 million with a worldwide haul over $479 million. Though Lionsgate is presumably extremely happy with The Hunger Games’ performance, they’re currently on the lookout for a director replacement for the sequel Catching Fire after Ross declined to return due to the tight schedule. They have to start filming the follow-up this August in order for star Jennifer Lawrence to be wrapped in time to move on to the X-Men: First Class sequel in January, and to make Catching Fire’s November 2013 release date. Hit the jump for details and analysis of the full top 10. None of this week’s new releases proved to be a formidable opponent for the juggernaut that The Hunger Games has become, but the film faces considerable competition next weekend in the form of, wait for it, a romantic drama. A Nicholas Sparks romantic drama, to be precise. Though there’s no guarantee that the Zac Efron-fronted The Lucky One will be the film to put an end to The Hunger Games’ reign, I’m willing to bet it’ll be a close one. 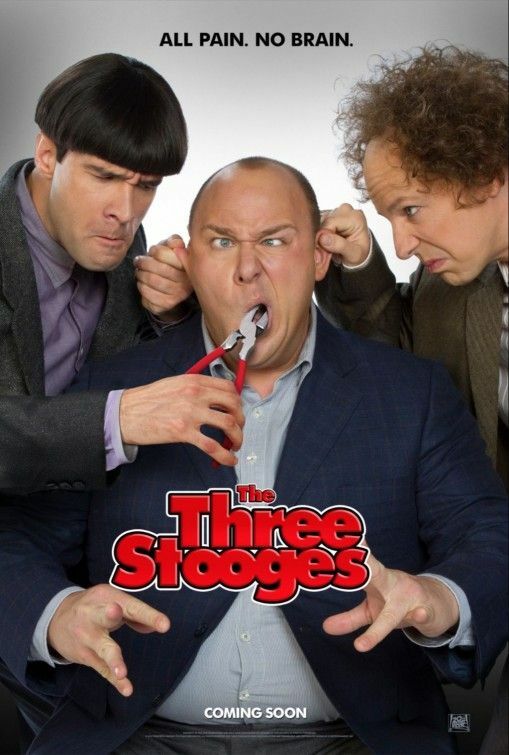 Coming in at number two this weekend was Peter and Bobby Farrelly’s update of The Three Stooges with $17.1 million. The film’s performance was a bit of a surprise, but when you factor in the amount of kids and families that the goofy and slap-happy PG comedy appeals to, the number makes sense. Though the film didn’t receive rave reviews, many have pointed out that the Farrelly brothers made a film that was exactly in tune with the humor of the 1930s comedy trio, for better or worse. The long-delayed horror film from Drew Goddard and Joss Whedon, The Cabin in the Woods, finally arrived this weekend and landed at number three with $14.8 million. The twist on the horror genre enjoyed absolutely stellar reviews from critics and an enthusiastic response from the online community (including us here at Collider), but much like Drive or any other number of critically hailed “original” films, general audiences didn’t exactly respond with fanfare. Though $14 million is certainly a respectable number, it’s a far cry from what this smart, engaging, and genuinely fun flick deserves. Hopefully word of mouth will carry over into a larger audience next weekend, but the film’s C Cinemascore rating (a grade measuring general audience response after seeing the movie) isn’t promising. Presumably people went in expecting Saw and came out having seen a meta play on the genre that pointed out all the flaws in the films they love so dearly. The other new release this weekend, the sci-fi thriller Lockout, did not fare well at all. The film entered the box office in the ninth slot with a mere $6.25 million. 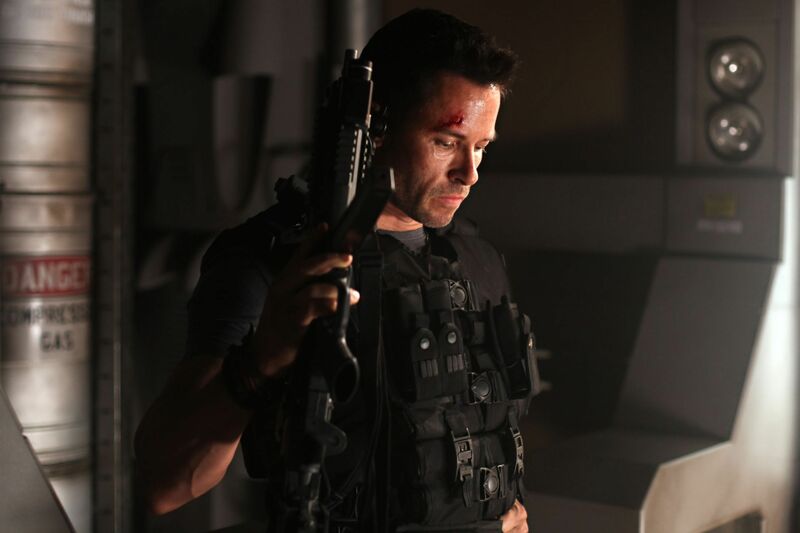 Though Guy Pearce has been praised for his charismatic performance, the film itself has drawn a lackluster response from critics and it doesn’t seem like audiences responded either. The film was made on a $20 million budget, and producer Luc Besson’s name should carry some weight overseas so it may still make a profit (not accounting for cost of marketing). As far as older titles go, Titanic 3D held up fairly well for a film that’s been out for 14 years with a second weekend total of $11.6 million. Things aren’t exactly promising for American Reunion, which fell over 50% for a weekend total of $10.7 million. The fourth entry in the American Pie franchise seems to lack the box office mojo that the previous three films had, with American Wedding taking in over $30 million in its first weekend. American Reunion’s cumulative now stands at just over $40 million after two weeks. Though Jonathan Liebesman’s sequel Wrath of the Titans failed to catch on with domestic audiences, it’s doing rather well overseas and now stands at a worldwide gross of over $200 million. Speaking of overseas, Universal’s Battleship is now open in a number of international territories, well ahead of its domestic bow, and is doing very strongly. It’s not really a surprise, as international audiences turn out for the “wham-bang” visual-effects filled spectacle films out of Hollywood. Check back next week when we find out if the one-two punch of Zac Efron and Nicholas Sparks is enough to dethrone The Hunger Games from its box office crown.